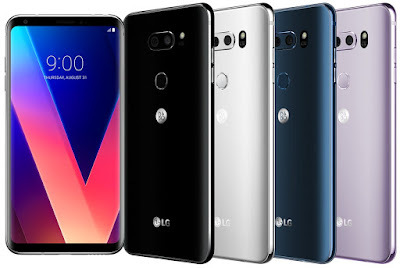 LG G6 has a 4GB LPDDR4x RAM, 64GB internal storage whereas 128GB storage on (V30+), expandable memory up to 2TB with microSD.On Camera, it has a 16-megapixel primary rear camera with f/1.6 aperture, Crystal Clear lens, Optical Image Stabilization (OIS), Electronic Image Stabilization (EIS) and Hybrid Auto Focus that combines both Laser Detection Auto Focus and Phase Detection Auto Focus along with a 13-megapixel secondary camera with 120-degree wide-angle lens. It runs on Android 7.1.2 (Nougat) with LG UX 6.0+ that brings several new features including new Voice Recognition supported by Qualcomm Aqstic voice UI technology for always-on, always-listening capabilities and face recognition unlocking. It has 32-bit Advanced Hi-Fi Quad DAC powered by ESS Technology’s SABRE ES9218P along with digital filters and sound presets and sound tuning by B&O PLAY. 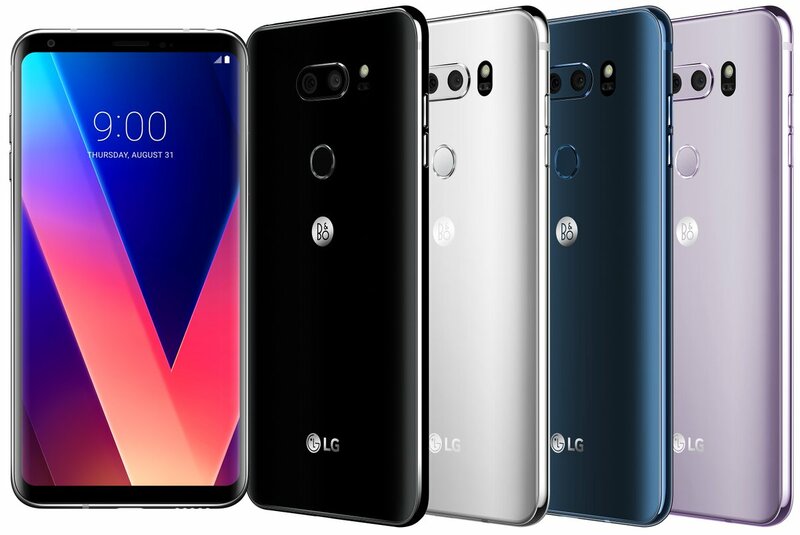 LG V30 comes in Aurora Black, Cloud Silver, Moroccan Blue and Lavender Violet colors and will roll out starting from Korea starting from September 21 followed by North America, Asia, Europe, Africa and the Middle East. No word on price yet.